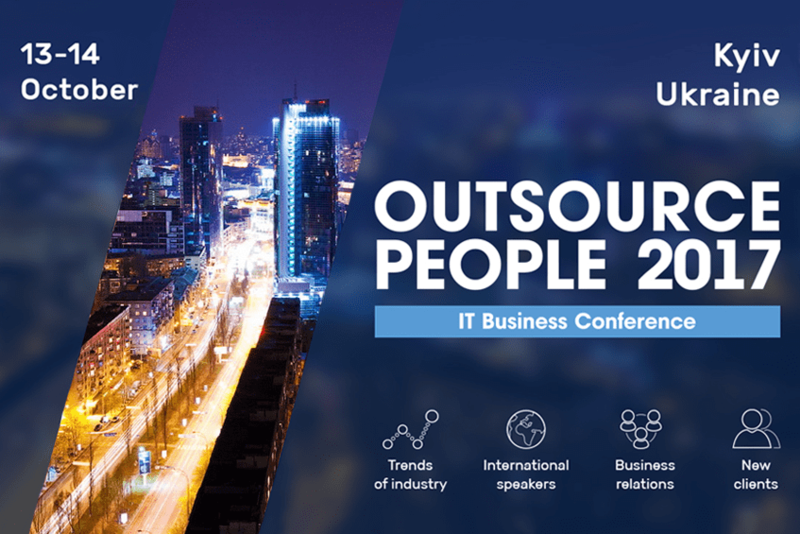 Outsource People in Kyiv will be the next event in a row Rozdoum is participating in this fall. Our platform for events — Eventor will support the conference. Outsource People is the international conference for outsourcing software development business. It is an annual event that comprises the companies that have R&D facilities in Ukraine and those who are interested in offshore developers. This year the conference will be held 2 days at 13-14th of October in Hotel Ramada Encore, Kiev. Organizers announced 350 IT companies and 1200 participants registered for the event. 72 speakers from 15 countries will present their talks in 7 streams — Business Strategy, Sales in IT, Operation Dev, Marketing in IT, Fail Track, Work4 E-commerce, and Data Science. The Outsource People conference program in 2017 will include workshops, discussion boards, private meetings, and interviews with experts. We, at Rozdoum, are going to join Outsource People this year too. The conference has such an intensive schedule that we can not stand apart. Our service for event organizers — Eventor, is used to create a mobile application for this conference. It is available for download on Google Play and AppStore. With Eventor platform, organizers get a branded mobile app that delivers the actual information right to the mobile phones of attendees live. Attendees can mark the talks they are planned to visit and create their own schedule. This will help visitors to navigate through eventful conference program. Overall event maintenance costs may be lower with a free web-based Eventor service. Event managers may not print extra giveaways with schedules or venue maps. A branded application is a good support in marketing activities of an event. A mobile application of the event also helps to increase its visibility. With the Eventor, any event can be flexible. Organizers can deliver last-time changes to your attendees’ mobile devices in time. Meanwhile, we finished the preparation for the event. Let us enjoy Outsource People atmosphere starting from the pre-party. Meet us at the party and at the time of the conference.